Lisa Frantzis is a Senior VP at Advanced Energy Economy (AEE), a national business association whose mission is to transform policy to ensure a more secure, clean, and affordable energy system throughout the U.S. At AEE, she leads an initiative to accelerate the transition to a 21st Century Electricity System. The two primary activities of the initiative are 1. CEO Forums/Public Utility Commission (PUC) Forums that convene utility executives, PUC Commissioners, and advanced energy companies to develop a vision for reform that is responsive to the needs of each state and drives towards concrete action, and 2. participation in key regulatory proceedings where AEE Institute develops joint positions with its members, provides analysis for justification of these positions, and assists in implementation plans. Lisa served as a Managing Director in Navigant Consulting’s Energy Practice since 2002, responsible for leading the renewable and distributed energy business. Prior to Navigant, she consulted at Arthur D. Little for 23 years in energy efficiency and clean energy. Over her 35 years of consulting experience, she has identified energy program options for international government agencies; determined renewable energy integration options for utility companies; developed business strategies for clean energy manufacturers; and conducted due diligence for financial firms considering clean energy investments. 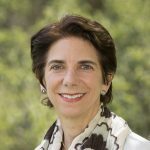 Lisa is currently on the Board of Directors of the New England Clean Energy Council (NECEC) and previously on the Boards of three other organizations: the American Council on Renewable Energy (ACORE), the Solar Energy Business Association of New England (SEBANE), and the Solar Electric Power Association (SEPA). She is also on the Executive Leadership Council of SEPA’s 51st State Initiative.